﻿A Composite Can is essentially a fiber body constructed of paper with one or both ends made of metal, tin, aluminium, or paper. 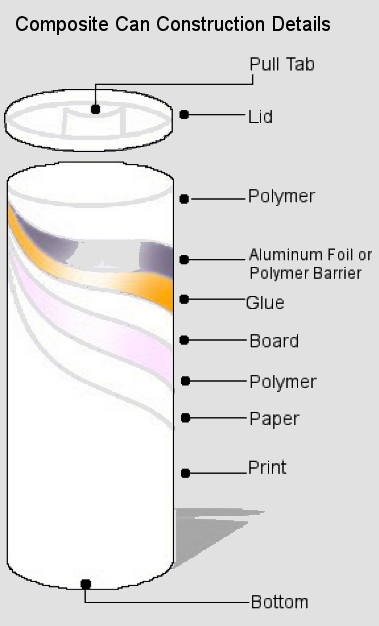 The label and liner could be made up of either Aluminum foil or plastic. This container offers a viable alternative to metal cans for almost every sector of the food industry.